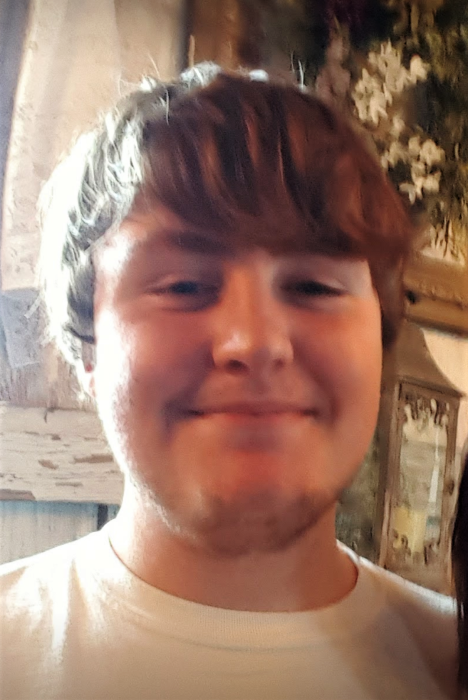 Hunter Thomas Gaskill, 18, of Harkers Island, passed away on Monday, March 25, 2019 at home. Hunter graduated from high school in 2018 and was looking forward to starting his life. He was a member of The Church of Jesus Christ of Latter-day Saints. He loved his family, the North Carolina Tarheels, ECHS, and basketball. His favorite pass times were to hunt with his brother-in-law “D” David, play basketball, go shopping with his Sissy and Granny, go to the movies with his brother Evan, and hang out with his friends. He was the child that always made everyone feel included, was loveable, and always smiling. A funeral service will be held at 11:00 AM on Saturday, March 30, 2019 at the Harkers Island Ward meetinghouse of The Church of Jesus Christ of Latter-day Saints. Burial will follow at the Salter Family Cemetery in Davis Shore. Hunter is survived by his mother, Andrea “Crystal” Gaskill of the home; sister, Nana and husband David Eston Willis of South River; brother, Evan Davis of the home; nephew David “Tannier” Willis; maternal grandmother, Almeta Willis Gaskill of Harkers Island; Aunt, Terri Gaskill of Otway, Aunt, Camella and husband B.L. Marcom of Harkers Island, Aunt, Olivia “Paulette” Russell of Sea Level; Cousins Kelli Gaskill of Chapel Hill; Daniel, wife Windy, and daughter Abigail Gaskill of Bogue; Camber, husband Clint, and children Camdon, Carolina, Corbin, and Cordelia Jones of Pottstown, PA; Brenton and children Ashlyn and Nathan Marcom of Chapel Hill; Cailey, husband Stuart, and Son Spencer Morgan of Clayton; Lauren Sparks and Son Landen Davis of Sea Level; Joshua, Wife Olivia, and daughter Lorelai of Davis; Crystan and husband Austin Snow of Salt Lake City, UT; extended family; and many, many friends. He was preceded in death by his father, John Staton III; paternal grandparents, Earl and Barbara S. Noe; Maternal grandfather Thomas Carroll Gaskill, Sr; and uncle, Thomas Carroll “Uncle Tom” Gaskill, Jr.
A visitation will be held from 6:00 PM – 8:00 PM on Friday, March 29, 2019 at the Harkers Island Ward meetinghouse of The Church of Jesus Christ of Latter-day Saints. In lieu of flowers, memorial contributions can be made to the family: Noe Funeral Service, PO Box 798, Beaufort, NC 28516 or by calling the office 252-728-2336.